Heneuite: Mineral information, data and localities. 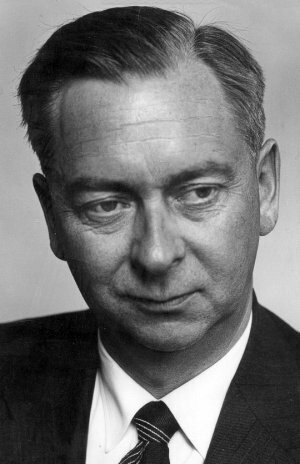 In honour of Professor Henrich Neumann (1914–1983), Mineralogical-Geological Museum, University of Oslo, Oslo, Norway. As cleavable, pale blue-green, nodular masses several cms across. 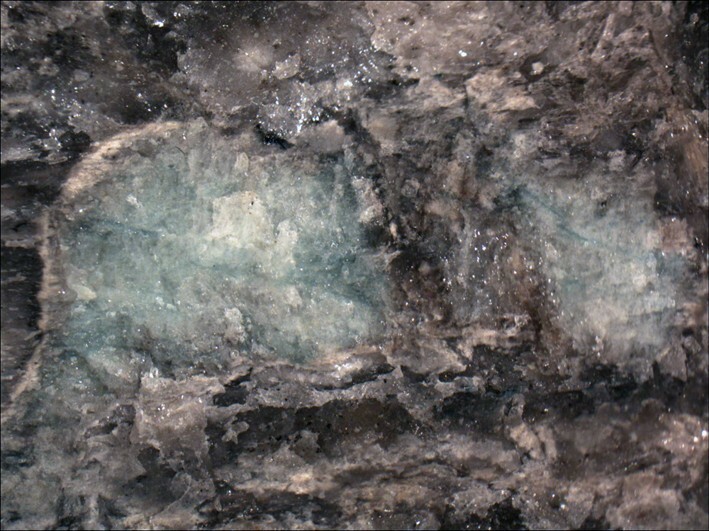 The nodules are rimmed by a thin layer of althausite, which in turn is surrounded by massive apatite. 43 : COMPOUND PHOSPHATES, ETC. The Natural History Museum, University of Oslo. Serpentine–magnesite deposit within a regional metamorphic terrain. Althausite 1 photo of Heneuite associated with Althausite on mindat.org. Raadeite 1 photo of Heneuite associated with Raadeite on mindat.org. 22.4.2 Kovdorskite Mg2(PO4)(OH) · 3H2O Mon. 22.4.3 Carbonate-rich Hydroxylapatite Ca5(PO4,CO3)3(OH,O) Hex. 22.4.4 Carbonate-rich Fluorapatite Ca5(PO4,CO3)3(F,O) Hex. 22.4.10 Voggite Na2Zr(PO4)(CO3)(OH) · 2H2O Mon. Raade, G., Mladeck, M.H., Din, V.K. 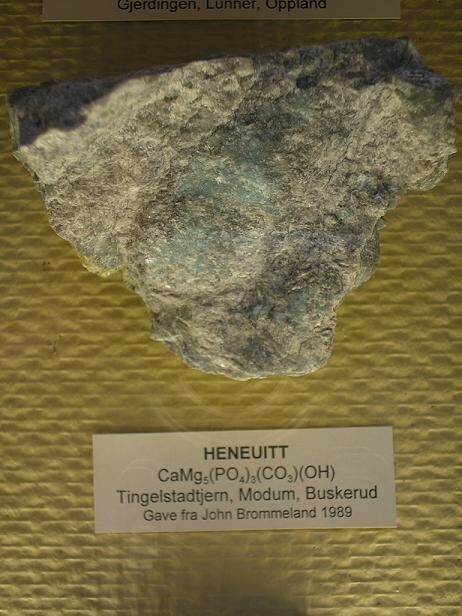 (1986) Heneuite, CaMg5(CO3)(PO4)3(OH), a new mineral from Modum, Norway. Neues Jahrbuch für Mineralogie: Monatshefte: 8: 343–350. Rømming, C., Raade, G. (1986) The crystal structure of heneuite, CaMg5(CO3)(PO4)3(OH). Neues Jahrbuch für Mineralogie: Monatshefte: 351-359. Jambor, J.L., Grew, E.S., Puziewicz, J., Vanko, D.A. (1988) New mineral names. American Mineralogist: 73: 439-445.